Slightly less formal than the neighboring Blue Ridge community, North Beach is a quiet, cozy residential area. 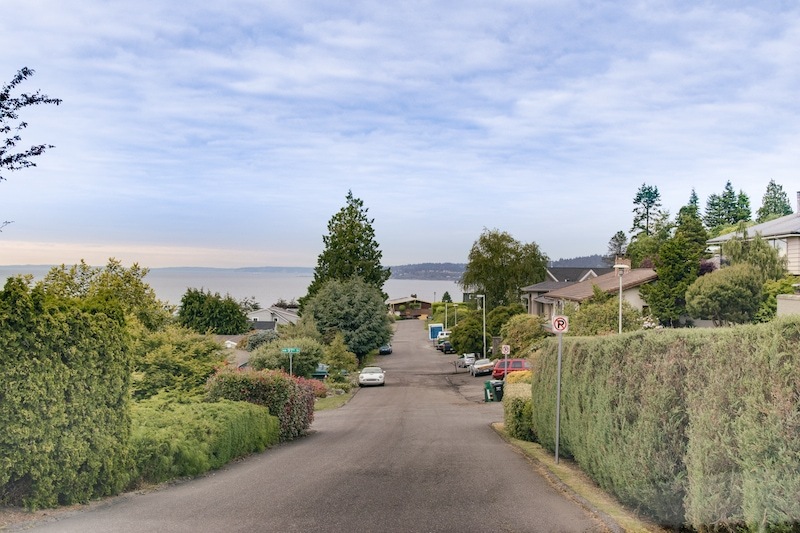 Its north end looks out over the Puget Sound, while to the west are the wooded slopes of Golden Gardens Park, which lead down to the marinas of Shilshole and the sandy beaches around Meadow Point. From the center of North Beach it's just a quick drive to 15th Avenue and Crown Hill, where there are plenty of dining and retail options. This makes the neighborhood popular with middle-class families who want a yard and some privacy, but don't want to be too sequestered. Caffe Fiore: A rustic cafe located just at the top of Golden Gardens Park, specializing in organic coffees. North Beach Park: A pristine green ravine with a narrow trail perfect for strolling and jogging. Cocina Esperanza: A hip, intimate spot serving authentic Mexican specialties, including seafood, sangria and cocktails.